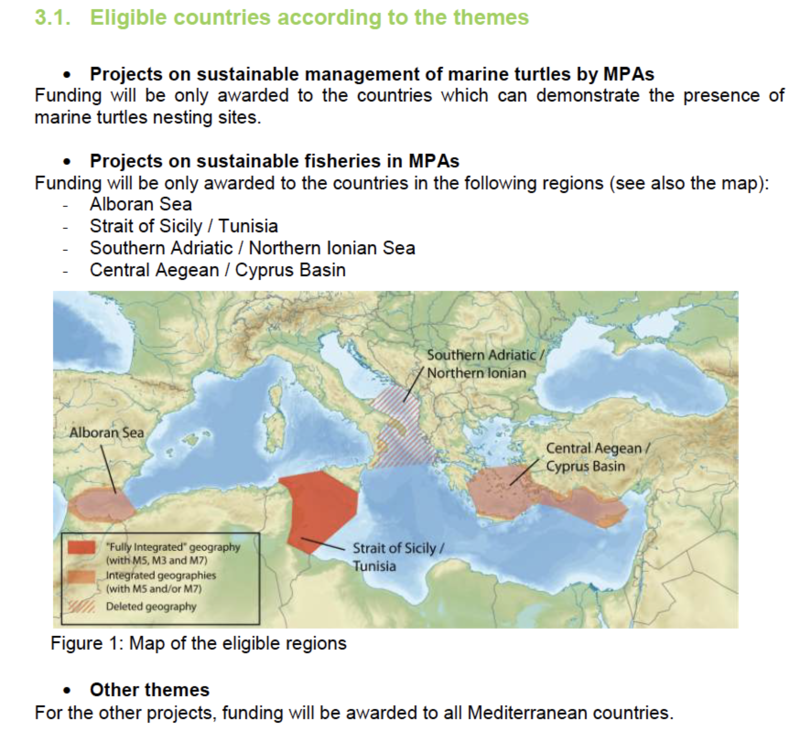 The MedPAN Association supports Mediterranean Marine Protected Areas (MPAs) with the Call for Small Projects (CSP). These small projects provide direct support to MPAs for the implementation of concrete actions, which aim to improve management effectiveness, test pilot schemes or put in place tools that can be useful to other MPAs. Today, the MedPAN Association is launching a Call for Small Projects for Mediterranean MPAs for the 2017-2019 period. This Call for small projects aims to reinforce the MPA management. MPAs’ contribution to their territory by supporting the sustainable development of socio-economic activities, in particular tourism. In general, it is also possible to integrate in each project actions across several MPAs, exchanges between MPA managers and/or developing relationships with neighboring MPAs in the interest of inter-connectivity, synergy or cost cutting. * Candidates must be MPA management authorities or organizations responsible or involved in MPA management. * Candidates must already be or become member of the MedPAN Association before the project’s implementation or be MedPAN official partners when the CSP is launched. *Candidates must be organisations (NGO, private company, scientific institution, etc.) whose main activities help to preserve the environment in or around MPAs. * The concerned MPAs must be official MedPAN member or partner. * Candidates must provide elements that ensure a full collaboration and a transparent communication with the MPA management authority during the whole project to ensure a successful implementation of the project. * Organisations must have a legal status that provides for the reception of grants. a document detailing the missions and objectives of the organisation. For the projects on sustainable fisheries management, the project’s duration will be 12 months maximum. For the other projects, the duration will be 18 months maximum. This Call for Small Projects is funded by Mava and Prince Albert II of Monaco foundations. For this Call for Small Projects, the budget available is 175 000 Euros in total. This envelope will fund approximately 7 small projects or more, depending on the amounts requested from MedPAN. Category I - classic: MedPAN’s contribution to the project will be € 20,000 maximum. It concerns any type of project involving a single MPA. Category II - cooperation: MedPAN’s contribution to the project will be € 50,000 maximum. The project involves several Mediterranean MPAs to work on a common topic, transfer experience or develop a common tool. Category III - reinforcement: MedPAN’s contribution to the project will be € 10,000 maximum. It will make possible for example to pursue projects already financed in previous Calls for Small Projects but which still require a small financial support. Project expenditures will be considered eligible from the official announcement date of the selection.